27th In the ‘well, no-one was expecting that’ category, Sony have announced the Full frame 24MP A850. Frame rate is down a bit on the A900, and the viewfinder is only 98%. Next week is the launch of a new ‘semi-pro’ crop camera. Speed of readout from sensor – FPS, potentially fastest FPS in current DSLR market. Look for a series of sports and wildlife photographers / testers who have tried it. Expect numerous testimonials for the camera. From the same source as yesterday… The Swedish Kamera & Bild site is saying they’ve got an invite to a Canon press event on the 1st of September. Apart from mention of the invite, there is general 7D/60D speculation on the K&B page. We’ve had several more comments of late that there will not be a 1D4 until next year, although it could just mean not at the next press event. Announcement tomorrow? The Swedish Kamera&Bild site is saying they got an invite to a Canon press event tomorrow. They still mention a possible 22nd September announcement too. A more credible source points to Tuesday the 1st of September for an ‘interesting’ press conference day. One for Canon, one for another company and a third just putting out a product announcement. They also confirmed the 25th (next week) for Sony, and 9th Sept. for Leica (FF M9). Just to show nothing’s certain at the moment we also get the 9th marked as Canon’s release by some – guess we’ll know for sure in a few weeks. 22nd We’ve now had several comments saying that there is an event next week (25th), however we’ve had no direct confirmation. The other press event predicted for next week (28th) is for Sony, where an FF A850 is a popular bet. Of course such technology might not appear for a while (if at all), but expect a few technology related rabbits to be pulled from the hat to liven up forthcoming product announcements. If you read though the details, then there is even mention of a 7,680 rows and 4,320 columns sensor. Anyone for a 33MP 1Ds4 next year with ‘full colour’ sensor? 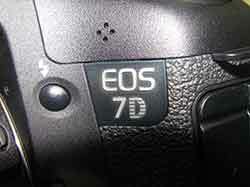 20th Do we have a picture of the top plate of the 7D or is it a 60D? 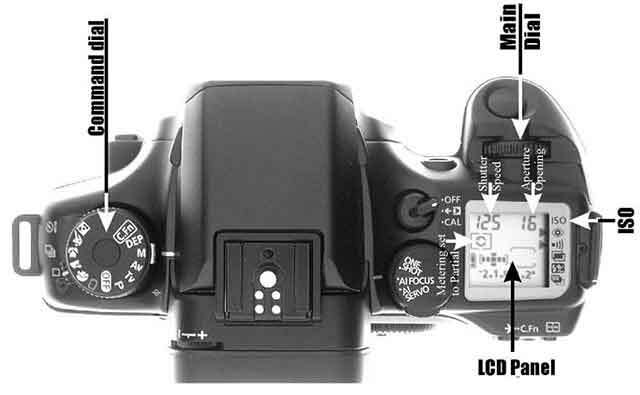 For those wondering about a pop-up flash and FF, there is the D700 to consider and the EOS 7e further down this page, which also had Eye Control Focus. The picture to the right is from a Taiwan forum, yesterday’s (below) originally appeared on a Korean forum. 19th It’s worth noting that the recent ‘Best Buy’ info contained additional details about a range of small Canon cameras, which have just been announced. There’s also some Powershot G11 info (DPI) ‘Only’ 10MP – a good sign? 18th Another comment that there will be a ‘pro crop’ – 2nd September, and it -will- be 18.2MP. Whilst on the subject of pixel density, we’ve just published David Goldstein’s full article about the physical limits in digital photography – how physics limits camera design. This is an updated version of his earlier article, based on further research and comments received here. It’s a long article (available as a PDF too), but if you’re in a hurry, the conclusions are well worth noting. 17th How about a ‘pro crop’ camera? – this one turns up every so often. The latest (unsourced) ‘7D’ comment we had looked good at 8fps, 19+26 AF etc. Unfortunately the sensor at 18.2 MP, if 1.6 crop, reflects the FF equivalent of 46.6MP, which I wouldn’t expect for a while yet. 16th In a comment from one of our more frequent sources (thanks), we’re told that the prospect of another ‘line’ of SLRs (i.e. the 7D) is considered unlikely and that the current makeup of Canon’s range is considered to be a relatively good match to consumer/pro demand. Suffice to say, the interest we’ve heard attributed to various Canon sources is talking up what’s coming in the ‘pro’ areas rather than elsewhere. Being able to point to the top pro cameras is very important to senior people at Canon in Japan. We’ve been told several times in the past that a ‘third’ FF camera 1/5/x? was being looked at, but was very dependent on how sales of Canon’s range and competitors were going. At the moment, we’d be pleasantly suprised to see a ‘7D’ this week. I wouldn’t be surprised if some of them were right (Digic V or Digic IV or even – FF/APS-H/APS-C) but I’m getting that many conflicting snippets from previously unknown sources, that it’s difficult to convey any consensus. As ever, comments are never attributed, but I’m much more likely to print a rumour if people provide a return address (that works) and it is not littered with spelling mistakes. The question I ask myself is that given how well the 5D2 is selling, how many 5D2 purchasers would go for a cheaper FF camera, as opposed to people who wouldn’t buy a 5D2 but would buy a cheaper FF camera? But seriously ;-) …I’ve just been looking at Canon print technology for an upcoming review of the iPF6100, and I have to say, the results were very good. 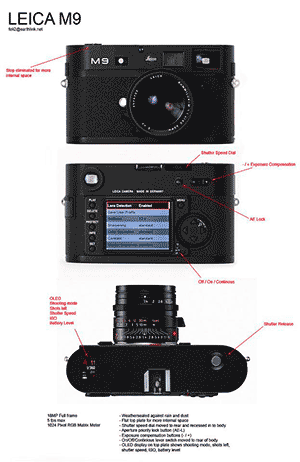 12th ‘Full frame’ M9 from Leica on show in Japan? We’re told that the Japanese market is important enough to Leica, that a few people have been given cameras. Click on image for higher res version. ** Do notice though, that the lens reflection is the standard one used by DPR – often used in photoshopped ‘fakes’. I’ve also seen it noted that the lens serial number is the same. 11th A Swedish magazine [KB] confirms the 19th of August for a press conference. An improved flash system? I notice that a Canon UK pro dealer (Fixation) has the 580EX II flash on offer, but lists it as ‘limited stock’. We were told some time ago that Canon noted some perceived weaknesses in its flash system, particularly in remote triggering. We were sent the Fixation info (thanks) that also point to the 70-200 2.8L as ‘limited stock’ – this lens has been on the replacement radar of late. A 60D and something else? – well, the 1000D replacement might be due, and there’s always the 7D or a load of point ‘n’ click cameras. The site promises more info to come. A 1D4 would probably get its own announcement. APS-C, ~15MP, dual Digic IV, 8FPS and 100% viewfinder. I mentioned this in a blog article yesterday evening and was threatened with legal action by a Mr Phil Jones of the SWPP within half an hour. The organisation involved, claimed it is untrue, however were unwilling to offer any response. My amended blog article, reminding people to always read the fine print, has comments from the person the SWPP unsucessfully tried to sue, along with details of the court judgement against the SWPP (which will become a matter of public record before long). Probably another wishlist, but actually one I wouldn’t mind as a ‘low light’ spare camera for when I didn’t want a 1 series camera with me. 12.7MP is fine since I still use my original 1Ds sometimes. 2nd Lots of info on the Sony A850 has appeared [PCA] after a leaked PDF manual appears. See also DyX for more info. As has been noted elsewhere, this is the ‘silly season’ for rumours and we’ve no confirmation of any of these new sets of specs. Thanks to everyone sending info – we will try and get confirmation, but as it says at the top of the page, these are RUMOURS. July 31st Some alternate info on a 7D from a Chinese forum. A post claiming to have been present when Jackie Chan was filming an advert for the 7D was pulled. 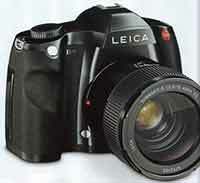 The camera was said to be similar to the 5D2 in design. As widely expected a D300s and D3000 are announced. Specs etc at DPR. A new version of Nikon’s 70-200 2.8 is also announced. We’re told that the D300s is a key target for the 60D, although whether Canon is prepared to put enough ‘pro’ features into an xxD model remains to be seen. July 14th In what sounds a classic wishlist camera [CR], there’s a comment about a new 12MP 1.3x crop sensor camera with 1-series derived AF system. Is it an xD or an xxD? Note that there are lots of sites embroidering the CR info, without attributing it, so expect to see lots of similar stuff to this [Ex]. Read what it says on the CR site and then notice the subtle differences/conflation of the second article. We’ve not had any info on anything like this since the picture and info we were sent in early June. The designs for the second prosumer FF are still being worked on but no release date is planned yet. Canon are (even more) waiting for market demand for FF to justify the new model cycle (still seen as when rather than if). 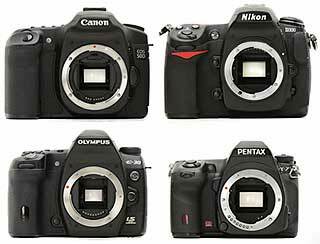 Canon have watched the market share of Nikon with the D700 and D3 as well as the D3X. They see the D700 as having eaten into D3 sales rather than expanding the FF market much. Needless to say, this isn’t what they want to do. A new FF model below the 5D II is not seen as viable, since once the 60D is out the 5D II is like a FF 60D. This would mean even more cripling of features, which they would rather not do. If they go ‘more pro’ with features (e.g. pro autofocus but not the pro body etc), the concern is about loosing sales of the highly profitable 1Ds III. The replacements in the 1D series are targeted to be a sufficient ‘step up’ (from a marketing POV) that Canon could have room for an ‘in between’ FF. It also seems that a ‘pro’ level 1.6 crop is not out of the question. There is much work on a new AF technology with the potential for super high frame rates. Canon is quietly assessing the demand for this with prototypes, think tanks etc. The word is that this is something that is driven from the top. This would give sports and bird shooters etc a 20 FPS plus (with mirror up) 1.6 crop (plus movie mode etc) weather sealed pro focus camera. 9th In the US, the ‘EOS Instant Rebate (Lens/Speedlite) Promotion’ will be extended from July 11th to August 8th. The ‘EOS Camera Bundle Instant Savings’ will end as planned on July 11th. On the site here, we’re starting our guest articles with an in-depth one about the Physical Limits in Digital Photography – How does the physics of light limit camera design? We are also linking this to our blog, so that in future people will be able to comment on our articles/reviews, as well as shorter blog posts. No rumours of sustance I’m afraid but I did notice this thread [POTN] which reflects a question I regularly get asked given my use of tilt lenses. It also emerges that Sony too are looking at the compact interchangeable lens camera market. Meanwhile [PR] there is interesting talk of two Sony FF DSLRs this summer. 17th Minor updates are noted (thanks) for DPP for the Mac and the Windows versions of some software are said to have newer dates. There are minor updates quite often, but a new version of software to support any new camera such as the 2000D might be in order. 13th The Canon iPhone app from onOne is updated to support a few more cameras. 5th As expected, this particular rumour gets them going on DPR. 2009 June 4th How about a new ‘x’D camera? We were sent a pic too – move your mouse over it to see a PS curve adjustment applied. Site note: I’ve just set up a Blog on the site – for news/info/views – basically for ‘photography stuff’ that doesn’t fit into our longer article and review formats. May 26th A cheaper FF sensor from Sony? DPR thread with link to Spanish Sony interview. 24th Interesting article about the SLR market, and in particular, pricing and availability for lenses. Certainly ties in with a lot of comments we’ve received from dealers large and small in the UK. May 18th I’m on holiday in Suffolk, so a slightly slower rumours service since last week… back later this week. However, as expected, Sony bring out 3 more Alphas – aimed at the lower end of the market – tons of info on DPR. 15th The latest tech-tips from Chuck W is out and has a good collection of info on AF and other useful stuff. 10th More Sony DSLR info at PB. May 8th Looks like Sony have been quite busy on the SLR front and will be announcing some additions to the range before long. Alpha A230, A330, and A380? Some time in the next week or so? 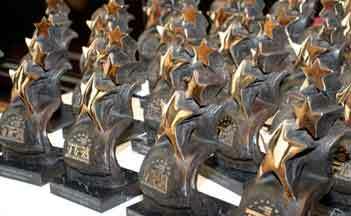 Several sources of info: PS (Google Xlt from German), PCA – Alpha 330 info. April 30th US Instant Rebates. 24th When looking at novel sensor developments Fuji has often been ahead of the actual cameras they’ve put them in. 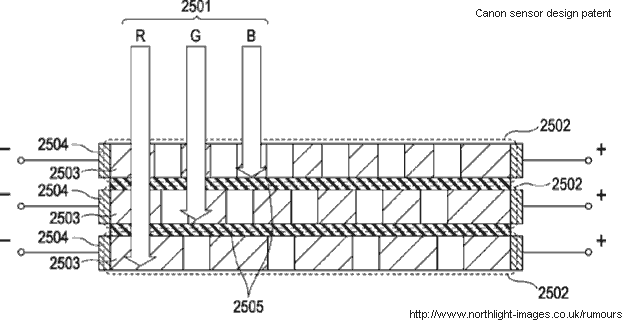 There is mention of them looking at using SuperCCD EXR technology for large DLSR sensors [DPR]. Of course it would be scurilous mischief to suggest that such ‘awards’ tend to be awarded to different manufacturers each year when it’s their turn, as much influenced by the advertising departments of the various publications involved. There is also a suggestion of a dealer rebate scheme coming in the US in May [CR] – a dealer seemingly discounted some kit in advance of the rebate. 12th Many have questioned Canon’s abstruse software update policies, which only ever makes updates available. 8th A good interview (i.e. real questions) with Chuck Westfall at CNET. 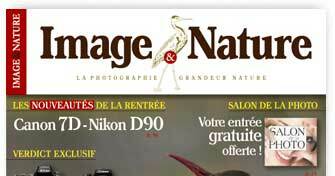 April 1st Nicephotomag claims that they have been told not to mention a new APS-C camera by Canon. March 31st Several mentions of an APS-C based video camera coming from Canon at CR includes support for EF mount lenses. I do note the aspects that indicate Canon will only go so far in allowing DSLRs to compete with its video camera offerings. 24th A possible picture of the 500D? 21st Canon SX1 users get RAW support firmware update [Canon]. Link includes processing s/w updates. Nothing of any solidity about what might appear next week. We’ve seen a few ‘discoveries’ of items we suggested last year, so anything new turning up does mean we have to do a bit of a hunt through the archives. Stock levels seem to be relatively low for several lenses, leading to suggestions that replacements are due – but then someone sends us a pointer to where there is stock. March 15th A quick reminder that like other sites using the Google Adsense advertising system, we have no advance knowledge of what may be displayed – particularly overseas (we are in the UK). I’m told that ‘Pro Photo Nation’ was advertising and their ratings at resellerratings.com suggest it might be unwise to do business with them. If you see an add for what you consider a scam, then please do click via the Google link at the foot of any ad block and complain to Google. Unfortunately we can’t proactively block content, particularly when it is in a foreign country and the advertisers regularly change details, so as to thwart this. Thanks again to those alerting us to this. 12th Since we’ve had several people question the event on the 25th, here’s a reduced image of the invite. The camera being held is an ixus 100 IS. 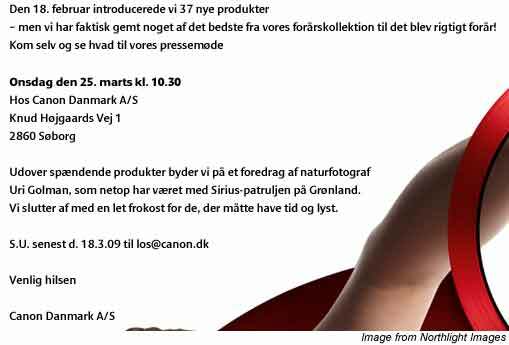 10th We’ve just been sent an invite to a Canon event in Copenhagen on the 25th. PS A word to regular visitors – I’ve finally had a chance to start tidying up the navigation at the top of articles/reviews/rumours. Hopefully it makes the pages a -bit- less cluttered. There are hundreds of pages on the site, so it’s a rolling program of updates. 9th Although we’ve had comments suggesting a 1D3 update this year, there are others such as CR and our own info at the end of last month, that suggest it may not be till 2010 that the 1D4 is seen. The latest Canon Tech-tips from the real Chuck Westfall are a available. March 3rd No signs of anything from Canon, but I did note the new Datacolor SpyderCube – which looks like an updated version of a device I carry round in my camera bag much of the time for whitebalance – we’ll have one to look at in detail before too long. February 27th We’ve had a significant collection of info sent that reflects the way the downturn has pushed back announcements. Although this is from one of our longer standing sources – we were told that the economic conditions have put much greater uncertainty on timescales. I’ll put general stuff on this page with links to more specific snippets on appropriate pages. Canon were glad to see the D3x pricing. It could have been pitched $1k or so above the D3 which would have put pressure on the 1Ds3 replacement. The DSLR market is still growing (just) but there are likely to be more mergers and the like during the year. 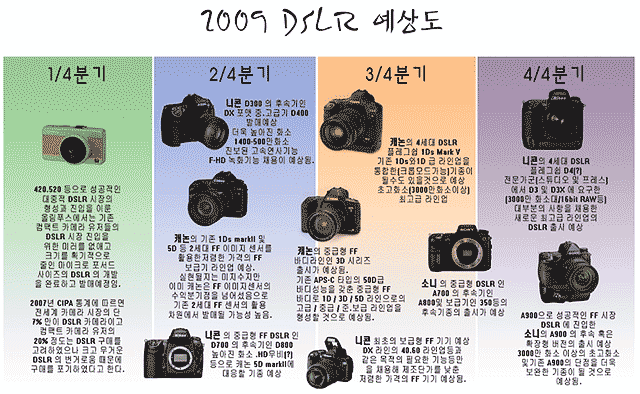 Nikon are understood by Canon to have slowed down new model upgrade plans for 2009 / 2010. In body IS testing shows it works well, test cameras are now going out with ‘2nd gen’ versions for reliability testing. Both Nikon and Canon can now build cameras with this – but as to seeing in a camera, it’s still a ‘who blinks first’ situation with regard to perceived user demand. Both see it as a potential threat to lucrative high end lens sales. The current Canon system works fine with all lenses and automatically turns off if an IS lens is detected. 500D – moved to 18 month cycle. 60D – moved to 18 month cycle. 1D4 – Still waiting for the ‘all new’ AF – aiming for 15-20FPS maybe not till 2010 though. 1Ds4 – D3x price has eased the pressure for a Aug 2009 release. 21st It looks as if camera release cycles will fall back to a slower rate for the time being, and the ‘update every year’ business model will have to wait for the next economic upturn. Before Christmas, a lot of sources were telling us that the 500D would be announced for PMA – just how far back it’s been pushed isn’t sure, but if it’s ready and in production, then I’d not expect it to be delayed too long. Note – I’ve only put the 1D3 replacement* for this year, since it might be available before the winter Olympics in 2010 – if so then we were told to expect some new white lenses to go with it. We’re waiting to hear for more definite info on this, but our last information was heavily laced with caveats concerning the economy and how the strength of the Yen was affecting Canon’s sales worldwide. We’re expecting a slowish time on the rumour front over the next few months, but if you subscribe to our Rumours RSS feed – , we’ll make sure any notable items are flagged there. February 18th Apart from the two T/S lenses, it looks as if Canon has forsaken the DSLR market this time for new announcements. I see from [CR] that a new line of Pocketwizards are due next week. Whilst I personally find -some- of the FCW stuff a little over the top, I find the approach of going for the hosting company is rather typical of the lowlife scu highly respected lawyers hired by Canon. Perhaps a bigger type size for FAKE and small ‘this is satire’ notes would help (plus links to an explanation for the hard of understanding). The CPS support team will be located inside the Photographers Lounge next to the British Fashion Council Tent at the Natural History Museum in London on 20th to 25th February 2009. Canon technical staff to answer any technical queries you may have. Don’t all rush along at once! Note: If you buy a DSLR kit with the flash, you still have to buy one of the lenses to meet the rebate requirements. Plus a Speedlite 580EX II flash. Billed as ‘Introducing exciting new products that will take people further on the journey to brilliant images’. February 4th Lots more comment on the 5D mirror fix. The fix looks like some mirror clips. 3rd Quite a few suggestions of when to expect Canon’s announcements for PMA. CR pencils in the next two Tuesdays, but settles for 18th/19th. Interestingly enough, this is just before the Focus show in Birmingham (UK) which runs from the 22nd to the 25th. Canon are there this year, so will they have some trinkets to show us? If you’ve had a 5D and the mirror fell out, it seems that Canon (in Japan) have acknowledged a fault. That link is in Japanese, however I’ve since been told [thanks] that Canon US has sent registered owners this message. Details on the 60D page, but not dissimilar to what we were told in September. Interestingly, this could signal a move of the 1.6x APS-C sensor into a higher end model. 23rd In the UK there have been selective price rises from Canon (lenses), but it’s not over. We’re told that Canon have more rises in the pipeline for early February. I’ve heard claims that they’re withholding stock from retailers and distributors until these rises take effect. Nikon on the other hand aren’t bothering with official price rises, and when resellers come to re-order they just find the prices have gone up. 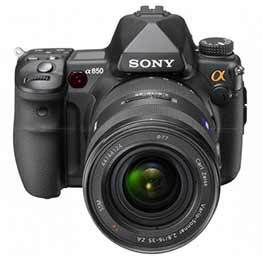 21st Whilst there are noises that the 500D may be delayed until after PMA, over at NR there is a suggestion that Sony will bring out a 15MP A800 (APS-C crop). It would be unusual indeed for a PMA to pass without some Canon DSLR. I’d still expect the 500D before the next in the 1D series, but who know what effect the economy has had on Canon’s plans. 10th I’m told that the ‘diffraction limit’ is indeed causing some 50D users to lose sleep :-) Looking round the forums, there are an awful lot of clueless explanations and ‘folk’ wisdom about the whole issue of image quality and the large number of interacting factors that contribute to it. There is a useful piece on the 50D by Harold Merklinger at LL and and excellent article by Norman Koren at NK It’s the maths in the second article that show why it’s not easy explaining what’s going on in electro-optical systems and what contributes what to different aspects of image ‘quality’. A newer article at LL covers the sensor/lens question with much rigour. I’d also suggest watching (and understanding ;-) the excellent videos at Panavision about MTF and camera systems – if the site is busy you’ll just get a big Q – call back later, it is seriously worth it. Don’t be put off by the fact that it oriented towards video either. January 9th A few comparative specifications whilst we wonder what will be next. Canon EOS Rebel XS / 1000D 3 / 1.5 n/a 5 .1s ? ? ? Canon EOS Rebel XSi / 450D 3.5 53 6 .1s 90ms 130ms ? Q1 Olympus will make a very small DSLR camera without mirror (micro four thirds format). Q2 Nikon D400 – 14-15MP inc. HD movie. Nikon D800 with HD movie and high resolution to compete with 5D mark2. Middle FX body from Canon, maybe 3D. Will have same performance as 50D. Nikon’s first entry FX body based on D40 or D60. Sony will have A800 and other bodies to replace current body. Q4 Nikon’s fourth flagship (D4?) – will have about 30MP and 16bit raw. 20th Despite the state of the UK Pound, I see that quite a few Canon prices continue to fall (£244 for a 1000D body, £540 for a 40D body). The high price of the D3x seems to have put off many would-be purchasers, since several UK dealers have the camera in stock, and that’s never been seen before at the launch of a top end Nikon camera. We’re expecting at least the updated 35/1.4 lens, and I wouldn’t be surprised to see it sitting on a a 1D4, showcasing some of the 1D4 high ISO capabilities. 28th After hearing several different rumours about the 1Ds4 and 1D4, I went back to one of our longstanding sources and asked if there was any news. I’ve updated the 1D4 page with some details of a potential Spring announcement, but there was also some more general Canon technologies information of interest. Non SLR like form factors, to make better use of the high resolution LCD and electronics. There have been tests of a ‘super sports’ 1.6 crop camera that may or may not reach the light of day. There is still an active design brief for a new mid-range FF should one be needed, updating features and costs to as to be ready for a rapid design process. 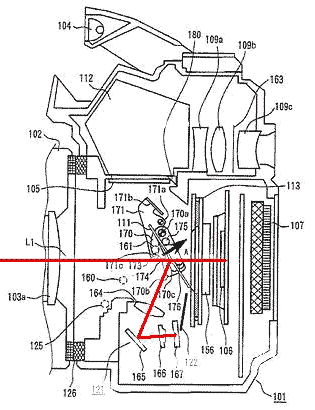 Canon are on track with their ramped up lens design and fabrication capability to handle the higher resolution sensors. There are test cameras out there with in-body IS. Canon know that Nikon are doing just the same and it is a matter of who moves first. Thanks already to everyone who has done! …it’s much appreciated. 16th Canon prices up in Australia? Suggestions that with the fall of the Australian dollar, there will be price rises for mid December – worth checking if you were planning a purchase later in the month? 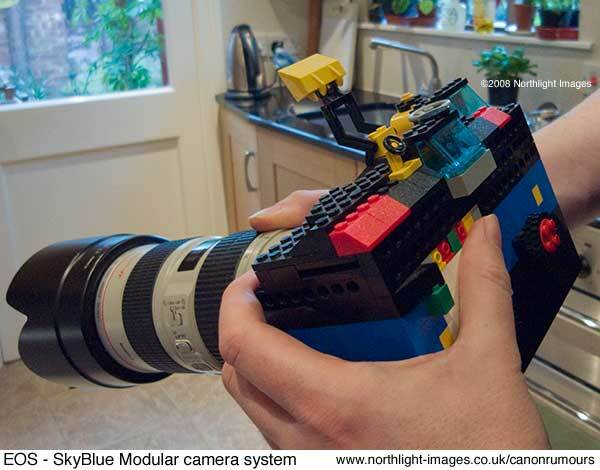 Meanwhile it seems that complaints from some would-be 5D Mk2 owners that the camera doesn’t have a built in flash, might be addressed by the new modular EOS SkyBlue system. Note – As with marketing materials from Red, we believe these pictures may not reflect an actual camera. 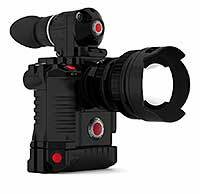 15th The Red Epic/Scarlet system is generating a lot of chatter, with people even claiming it’s a DSLR killer. I tend to agree with this post on the red forum, concerning that particular aspect. More info and loads of pictures at the Red user forum. Well worth a read, as he reflects on the state of the camera industry and who may be closer to the slippery slope than others. A 24MP+ D3 followup could be announced by the end of this year, whilst any larger than 35mm (FF) format might appear from Nikon or potentially even Canon. 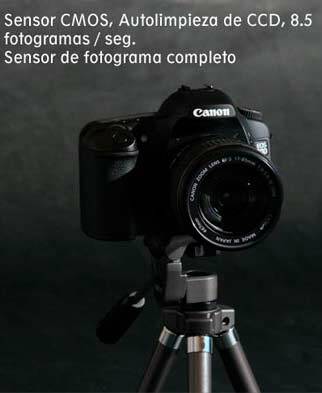 EOS 1000D (18-55 IS Kit only) = £30 (EUR 40) New Offer – started 15th Sept, ends 12th Jan 2009. EOS 450D (any config) = £50 (EUR 65) Extended Offer – started 26th June, ends 12th Jan 2009. 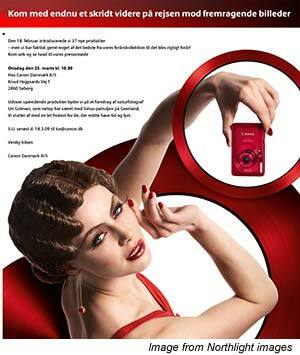 EOS 40D (any config) = £60 Cashback (EUR 75) Extended Offer – started 21st Aug, ends 12th Jan 2009. October 31st The glut of ‘refurb’ 1Ds Mk3s that appeared recently on eBay has gone, suggesting that it was indeed clearout time. I’m told that the prices were a tad excessive. The rumours circuit has entered it’s usual state of torpor after a major announcement, with current speculation mostly confined to updates of existing models. Pricing of the 5D2 and 50D suggests there -might- be a gap for a 7D, but if the 1D4 goes FF (with a high speed crop) then it sits in the area that a potential 3D might occupy. What if the 500D was of appreciably better spec than the 2000D, leaving the opportunity to make the 60D full frame? As ever, if you have any info, please do let us know. It’s only the (much appreciated) contributions from readers that allow us to get things like the first real photo of the 5D2 a few days before anywhere else. 24th Still some people on some forums holding out for another camera announcement, but no-one seriously expects more from Canon for a while, after the 5D2. 21st What difference will HD Video make to photographers? An interesting take from Vincent Laforet. Easy HD video capture has the potential to be quite a disruptive technology, although many people will soon discover that whilst capturing good quality video footage has just got a lot easier and cheaper, making effective use of it is still a different matter. I’ve looked at my own key commercial business areas and do not see the pressures I’d expect in, for example, the wedding and some editorial markets. I’ll probably not get video until my 1Ds3 gets replaced (maybe I’ll have one on order this time next year ;-) and it’s unlikely to be a key factor in any purchase choices (improved low light performance and DR are higher on my list) However, the advent of cheap HD video is something that any photographer running a business should not dismiss lightly. Expect the price of the 5D2 to drop considerably before Christmas. It will probably come down a bit between now and initial delivery too, but Canon are going to make the most from pent up demand for the camera first. At the moment there is a clear price gap for a more basic FF camera, but check again in January. 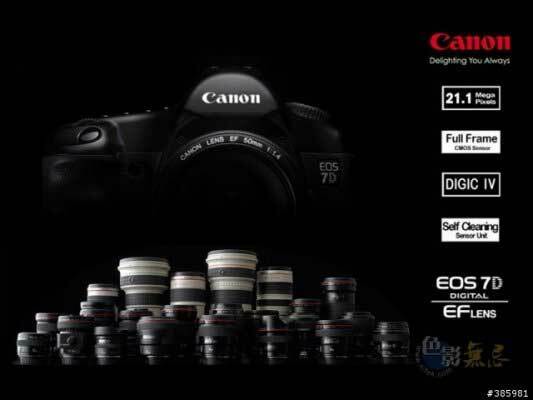 Our Canon future technology info is on the 60D page at the moment. The employee told Tech Digest that Canon have the technology to “blow the competition away” in terms of image sensors, but are instead being asked to focus on headline figures like the number of megapixels a camera has. Reads a bit like the collected wish lists from a number of DPR posts, but having seen the dead hand of marketing at work over the years it’s all too believable. In the ‘too many MP for a sensor that size’ category, Canon make another leap with the 15MP G10 [DPR] This is the one that Pop Photo accidentally announced on the 26th Aug (rumour archive link) along with the SX1S and other small shiny boxes. A French magazine suggests that it’s got a 7D article. This from what it says is in its next issue. September 2nd An 18MP 7D? This actually comes some Chinese rumours, at the same time that the 50D leak appeared. 2008 August 18th A ‘Digital Elan’ next spring? A possible FF 7D next Feb/March is suggested in a post on the Xitek forum. Of course the EOS-7 had eye control of focus, something people who tried it either tend to have loved, or thought of as a gimmick. However the quick application of a steep curves layer shows up inconsistancies in the number ‘7’ on the box. June 14th A tentative 6D spec. There is a report [CR] of a ‘3D’ and ‘6D’, although if previous numbering conventions are anything to go by I’d suspect the model number guestimates are the wrong way around. Any general details are on the main 5D replacement page. 2008 January 21st The popular ‘Tsiphoto’ makes a usual late entry on DPR and announces that “pma will not bring a new 5d body….. ” This poster, who has a ‘better than most’* record with pre-launch info is usually regarded a a harbinger of product announcements on DPR. 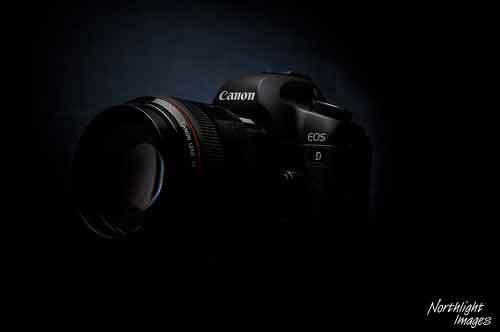 on Jan 24 they will announce 2 new cameras for PMA: the 7D and the 450D. 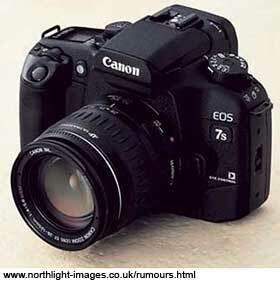 The 7D will be the 16Mp successor of the 5D. Making room for a 3D introduction later this year. 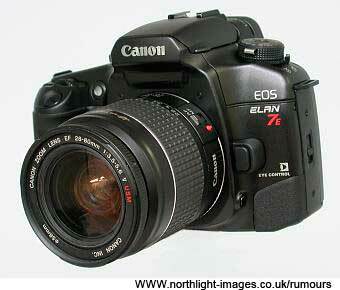 The 7D will be the big brother to the 40D. With FF and spectacular high iso performance. I suspect the 450D to be surprisingly interesting due to a larger viewfinder and an improved AF system with face-detection. BTW If you’re new to the page, see all the info we had back in September regarding the 5D/3D split, 5D2 functionality etc. Make of that what you will, but improved weather sealing and 16MP look more likely, …and coming in at the original 5D price?